The Blackwater Photographic Society was founded in 2013 by a group of photography enthusiasts in the North Cork area. 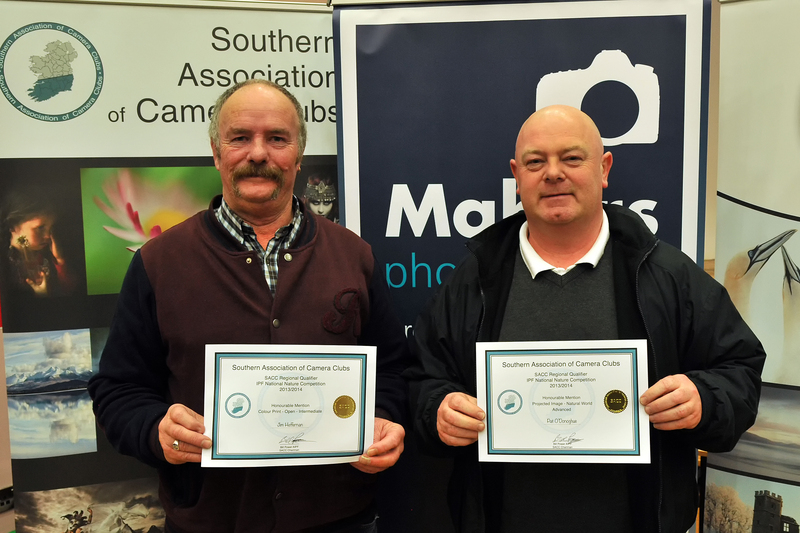 Congratulations to Jim Heffernan and Pakie O’Donoghue who were both awarded Certificates of Honorable Mention in the recent SACC Nature competition 2014. Jim was awarded his Honorable Mention in the Color Print Open competition and Pakie won his in the Themed Projected section “The Natural World”. Well done you both on a fantastic achievement. Congratulations are also in order to Yvonne Esaw, Sinead O’Connell, Sandra Saridonas Zeimyte and John Flynn who, along with Pakie & Jim, had qualifying images for the IPF Nature competition National Finals coming up in March. Well done to you all and best of luck in the finals. 2019 IPF NATURE POTY SUCCESS! !